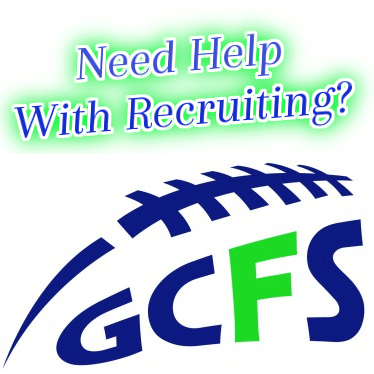 As crazy as this sounds, some athlete’s chances of getting recruited is done before the season even begins. This is in large part due to the decisions they made when choosing what College Camps to attend in the Summer. It’s also the College Camps they didn’t attend. Choosing the right College Camps to attend in the Summer are crucial to having success in the recruiting process. This is the area of recruiting that kids and parents can look back at and point to as the reason they did or didn’t get the results and offers they wanted so badly. I’ve gone through this process twice myself, once out of HS and once out of JC. I also coached for a year and recruited at Oregon State. Since then I have worked with hundreds and hundreds of HS and JC kids going through the recruiting process. On a daily basis I am also on the phone and exchanging messages with Local, Regional, and National media members. I also do the same with College Coaches from all around the Country, from all levels – FBS to D2, D3, NAIA and even Junior Colleges. The first thing any recruit has to do when deciding what College Camp to attend in the Summer is knowing their own situation. What I mean by this is does the kid have an offer or not. Right off the bat, this can help narrow the list of Schools a bit. If a kid doesn’t have an offer, it doesn’t mean he isn’t a good player. What it does mean is that going to camp at Florida State or Alabama most likely isn’t going to result in an offer. One of the hardest things for kids in this process to do is setting their ego and pride to the side and focusing on the long term. Nowadays kids love having that picture in “The Big House”. They also get a photo with Jim Harbaugh and go throw it up all over social media. But spending a couple thousand dollars in airfare, hotel, rental car, camp fee, etc. is pretty expensive to get a couple pictures that every other kid in that camp got. There are some important factors a kid and his parents should focus on to determine which is the best College Camp in the Summer to attend. For Seniors to be, analyze the attention and contact they had during the Spring Recruiting period. The Spring Evaluation period is April 15th thru May 31st. During this period Schools can stop by a HS to see a kid, and can contact him as well. This will really lay things out clearly. If a Coach from a College didn’t stop by your HS to see you during that entire period, it’s pretty clear you are not on their board, or if you are you’re not very high on it. Conversely, if you get a call on the first possible contact day, April 15th, then you are a high priority to them. The type of communication received from a Coach can also be very telling. A phone call from him means you are high on his list. A text message, or private facebook or twitter message also means that School has genuine interest. But a generic email just means you are in that particular Schools database. I have kids or parents tell me ALL THE TIME about how many different Schools have invited them to their Summer camp. Don’t’ get me wrong, it’s not a bad thing to get invited to a Schools camp. But just know these 3 things: Summer camps are a money maker for Assistant Coaches, it costs a School absolutely nothing for a kid to attend, and the Coaches get to see and evaluate a kid in person. From that perspective, you can see why these Coaches and Schools want to have the biggest database possible and invite as many kids to camp as possible. To be successful in this process, a kid and family need to do there research. Before choosing a camp to attend, go look at that Schools roster. How many guys at your specific position do they have on their roster? How many of those are Seniors and graduating? How many kids did they sign in the last class? Are any kids transferring in or out? These are all factors that are very relevant that most kids and families don’t do research on. To stress this point, I’ll give an example. Years ago I met with a kid and his dad for dinner. This kid was a QB. They were talking to me about his Summer schedule and all the different Schools he was going to visit and workout for. One School in particular he mentioned was Wyoming. When I heard Wyoming mentioned I knew there was an issue that this kid and his father didn’t even know. Just a few days earlier I had spoken on the phone with a good friend of mine who was and still is on the Wyoming staff. He had mentioned to me that they were NOT going to be taking a QB in that particular recruiting class. So here I am at dinner with this kid and his father hearing them talk about the Summer schedule they put together and all the flights, hotels, and camp fees they had already paid for. That could have been avoided, and he could have attended a different College camp on that same day that he could have potentially received an offer from, if they had just taken the time to do a little research. There’s also another major mistake I see kids and parents make while putting together their Summer schedule. They end up packing too much into a short period of time. A difficult thing about College camps is a lot of them are on the same day. So it’s difficult to try and coordinate a schedule to be able to get to all the places you want and get a chance to workout for the School and Coaches. A few years ago I met with a kid and his father. The dad pulled out a calendar and handed me a copy to look at with him. The kids schedule literally had 7 days in a row of camps at different Schools. He would do a camp in the morning and afternoon, then drive or fly that night to his next destination. The next morning he would wake up and do the same thing over again. So technically, yes that schedule worked. But just because you can make it happen on paper doesn’t make it a good idea to do. Here’s what the father didn’t take into account. Each one of the College camps a kid goes to, he is going all out to try and impress them and get an offer. Another issue he didn’t think about was the format that each College camp has. They all do measurements and testing. After that, they do position work and then usually 1on1’s. Everything is being documented, filmed, and evaluated. So imagine how tired a kid is going to be by the 2nd day, and 3rd day, and 4th day, etc. He’s doing workouts at a high level in the morning and afternoon, then travels at night. Lactic Acids build up, jet lag sets in, etc. So now the kid starts having terrible times and testing numbers because he is so tired and fatigued from the previous days and camps, plus all the travel. So instead of getting offers and helping his cause, these Colleges start writing him off. So the moral of the story is that just because a schedule can be made and fits, it doesn’t mean it’s necessarily a good idea to do. I recommend 2-3 days between each camp to allow for a kid to get his legs back under him. It also allows you to travel and get situated and acclimated to the area for the next camp. A quick note to add into this write up is a major No-No that I see kids do every single year. When you go to a certain College’s camp, DON’T wear apparel from another School! Another thing to think about when choosing a College camp in the Summer is to try and package in a few schools in the same trip. I also highly recommend hitting Schools from a few different levels. A couple years ago I took a few kids on a College Tour in the Summer. We flew in to Salt Lake City, Utah. We got hotel rooms there for a few days. Within a 2 hour drive in all directions were a few Schools that we were able to drive to and the kids were able to workout for them at their camp. We hit Utah(FBS-Power 5), Utah State(FBS-Mid Major), BYU(FBS-Mid Major), and Weber State(FCS-Big Sky). This allowed the kids to get in front of Coaches and Schools at all of these different levels, giving them a better idea with the response they receive afterwards of what level they are probably going to be recruited at. This also saves a lot of money by only having to purchase 1 plane ticket and be able to go to 4 or 5 different College camps. Another piece of advice is before you go to a Schools camp, research their staff. Know the names and titles of each coach, and know what he looks like. It’s not a good look when a kid meets the Defensive or Offensive Coordinator and asks him what position he coaches. It only takes a few minutes, and you can get all that information on a schools athletics website. My last topic for being successful in the recruiting process through choosing the right College summer camps to attend is to work your way up. Here’s what I mean by that. Instead of going to these really big, Power 5 Conference Schools and working your way down, do it the opposite way. 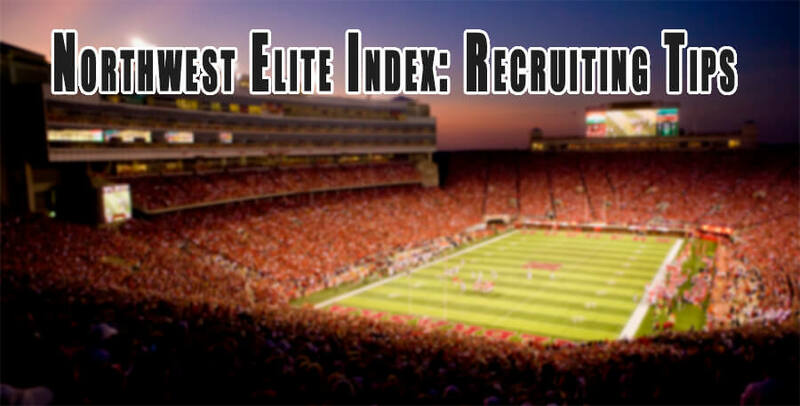 Most kids attend those really big Schools and hope to get recruited and get an offer from them. If they don’t, then they go down to the Mid Major FBS schools hoping for the same. Then from there they go to FCS schools. This is a recipe for failure! And that’s true for a few reasons. Put yourself in a College coaches shoes. If you’re trying to recruit a kid, but he’s not giving you any attention because he wants bigger schools, that’s understandable. But a lot of the time these kids don’t return any of their phone calls or emails. All of a sudden the bigger schools didn’t go on him and he’s suddenly interested and calling you. These College Coaches are prideful and don’t want to feel like they are a consolation prize for a kid. The other issue is that while a kid is trying to get those bigger offers and not giving any love to the lower level schools, they have to go recruit other kids they feel they have a chance to get. So even though a School might like a kid better, they are going to go with the odds and offer the kid who is showing them love and attended their Summer camp. The very 1st thing any College Coach will ask a recruit, his HS coach, or his trainer is this: Does he have any offers? If the answer is no, the coach knows the status quo is in his favor. He knows he doesn’t need to have any urgency and put an offer on the table. It also throws up red flags to them sometimes. If Washington and Washington State hasn’t offered a kid from Seattle, most likely Arizona State won’t offer him. And if Eastern Washington and Portland State hasn’t offered that same kid, Washington and Washington State most likely aren’t going to offer him. College Coaches know that in-state Schools are going to know more about a kid than Schools from further away. So if those Schools haven’t offered that kid, those Schools from further away figure there’s something wrong with him either on the field, off the field, in the classroom, or a combination of the 3. So that’s why I recommend working your way up. Go to a D2 Schools camp and get an offer. Now when someone asks if you have an offer, you can honestly say yes. Now you have an offer so no matter what happens, you have something in your back pocket. From there, get to a FCS Schools camp. Go to Idaho State, or Portland State, or Weber State, etc. If you pick up an offer from them, now you’re a multiple offer kid. Now the likelihood of getting one of those bigger, FBS Power 5 Conference School offers goes up. I tell kids and families this: “In baseball if you swing for a homerun, most of the time you strike out.” The same is true for the recruiting process and choosing College Summer camps. Don’t swing for a homerun. Swing for a single and make contact. And when you do, that’s when homeruns actually DO happen. Our research team tackled Detoxic, a liver and body system detoxifier.